My name is Jake and I’m an SEO Specialist here at 5W Public Relations. I grew up in the Back Mountain which is a small region in Luzerne County of Pennsylvania. Growing up in such a small area, I’ve always dreamt of one day living in New York City. I graduated from Penn State Wilkes-Barre with a Bachelors in Information Science & Technology. I moved to Astoria last summer and have been quickly adjusting to the fast-paced city life ever since. How Did You Get into Digital Marketing – Specifically SEO? Growing up, I was very curious about website development and always saw myself doing something in the technology field. Being an IST major at Penn State landed me my first job as an application developer, where I exclusively focused on front-end web development. I also freelanced many websites throughout college. I eventually stumbled upon search engine optimization (SEO) and it immediately became something I was very passionate about. Through all of this I started my own project, 570MENU, which is a restaurant and travel directory for the tourist attractions in Northeast Pennsylvania. The site is now used by over 15,000 users in the area – something I’m really proud of! I ended up switching careers into digital marketing & SEO after spending quite some time working on freelance and personal projects. What Is It like Working on the Digital Team of a Public Relations Company? It’s really an awesome experience working for a public relations company that offers integrated marketing packages. 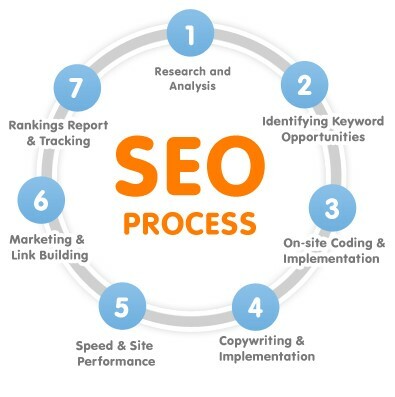 The efforts of PR tie directly back to SEO efforts. When our PR teams are able to place our clients on top-tier sites, it enhances the authority of the sites we are working with – ultimately increasing their rankings. It’s a team effort here and it’s awesome to see it all come together. What Are Some Exciting New SEO Features to Look Forward to in 2018? In 2017, voice search saw a massive spike in popularity – and it’s only gaining more steam. Many people nowadays prefer voice search compared to typing. It’s faster and the queries contain more specific details. Voice recognition software has also significantly improved – therefore, SEO strategy will need to shift to stay aligned with how users are searching for content. Backlinks have always been a driving force behind most well ranked content. Google has been working on a new algorithm that will pick up brand mentions and people associated to them, all without needing an actual link. To the SEO professionals who are constantly chasing publications for forgetting to link, this is going to make their jobs way easier. Google is continuing its ongoing quest of providing the best user experience, and this is why semantic search is important. Understanding user intent and having proper internal linking strategy to make sure pages contain all relevant information will be more important than ever. Google is going to favor sites that have rich content and internal links that can answer everything the user is searching for. Digital Marketing (specifically SEO) is an always changing and evolving field that never gets old. New strategies, and finding opportunities to integrate with other areas of communication are always on the horizon. You never know where you’re going to end up in your career, but it’s the exciting journey of getting there that is always fun to tell.